Say hello to the new disposable pod from EDC Vape - Rainbow, which is pocketable and extremely tiny with the USB alike appearance. It features very easy operation with draw-activated system. 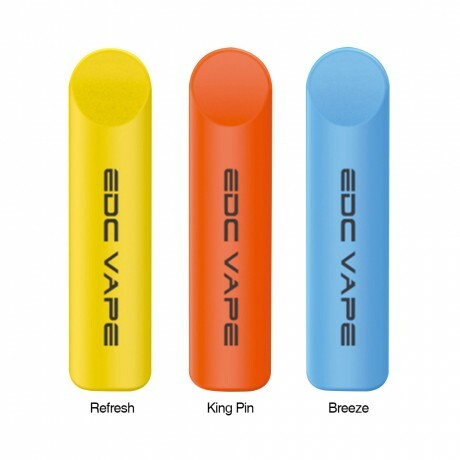 The fully charged built-in 240mAh battery ensures you a long-lasting vaping until the eliquid is fully enjoyed. Moreover, EDC Rainbow comes with pre-filled e-juice of 5% nicotine by volume. 3 flavors in available. If you’re looking for disposable pod devices, you need try this excellent Rainbow!